Find the right air skid steer tires, from premium to entry-level, for the best price for your construction equipment needs. 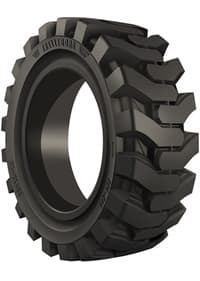 Whether you need something built tough, or something that drives smooth, we’ve got the right solid skid steer tires for your construction equipment. Browse our inventory. If you need a tire with a little extra toughness, or just something to fit the current budget, we’ve got a selection of loader, grader and solid tractor tires to fit your needs.